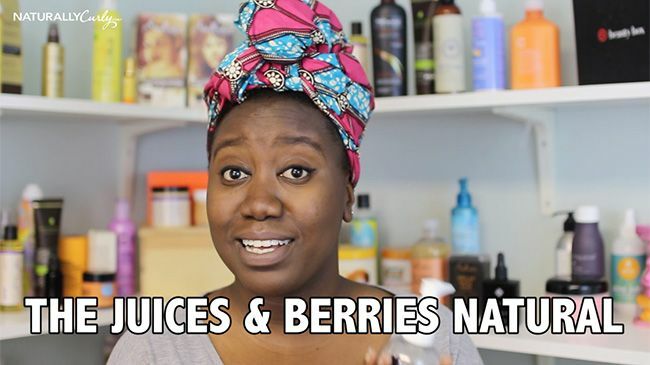 Which of the 5 Natural Hair YouTubers Are You? Do you love flaunting your long, flowing curls on YouTube? Do you enjoy whipping them into a mesmerizing frenzy while smiling from ear to ear in explicit bliss? Are you the Naturalista that strikes curl envy into the hearts and minds of curly haired women everywhere? Or, are you like me: wondering how these women have grown 12 inches of natural hair in what seems like a matter of days? Which Natural Are You? Find out now! She’s been known to “rock” her natural hair with pride… underneath weaves and wigs. She’s also been one with her curly roots for at least a decade, her “protective” styles somehow keeping her curls free from breakage. Well, every natural knows that hair, especially when in protective styles, needs moisturizers and crèmes with oils such as coconut or sunflower, shea butter and vitamin E to combat dryness, frizz and heat damage. Even as this Natural keeps her mane tucked away under a mop of curls and waves, she usually tells her viewers how to manage protective styles. With no hair care routine in place, how can this Natural possibly own a full head of beautiful, flowing curls only 6 months after undergoing the Big Chop? Well, she wakes up in morning with every curl in its right place. #Blessed with perfect curls, she only runs water through her divine ‘do. Oh, and lil' miss #Blessed also doesn’t bother to wrap up to go to sleep! What she rarely mentions in her videos is that for bouncy, healthy curls, viewers need crèmes and moisturizers with a thick consistency. If you’ve ever balked at the sight of your brittle, broken hair on your pillow after going a night without wrapping your moisturized curls, then you already know this. Having recommendations of up to 5 different products, depending on her mood and any daily deals at a local beauty supply store, this Natural is a little all over the place. She has a penchant for spending her whole paycheck in one outing on at least 8 kinds of scalp-stimulating moisturizer and new edges growth oils, and wants you to do the same. Although there are a few products on the market that cater to specific curl patterns, the Product Junkie Natural will find and tell you all about them! Any real product junkie would recommend that her viewers add a multipurpose moisture infusion styling crème to their beauty caboodle. Which leads us to the next Natural who could really use the Product Junkie’s expertise. This natural believes in the one bobby pin rule: only focus on pinning your bangs for versatile looks such as the pompadour or the middle-part pompadour or dramatic side part bangs. She seems to negate the idea of using varied hairstyling accessories and tends to pigeonhole her look, but still feels as if she looks different every day. It’s possible that this one trick pony doesn’t really know how to switch it up because she hasn’t found a moisturizer, styling crème and heat protectant that’s right for her. Whether she's wavy or coily, she’s definitely going to need to up her bobby pin game if she wants different hairstyles that impress her viewers. This natural likes to channel that Coming to America version of hair care, and I’m not talking about “Soul Glo”. She’s an olive oil lover who refuses to use or recommend products that have one or two ingredients. She wouldn’t dare put herself in the same class as other naturals who moisturize their hair with on-shelf products. Most of the time, her videos show you how to properly concoct hair butters and growth oils, in an effort to maintain her hair care routine with an all-purpose beauty product. Even if you prefer one ingredient, your natural always looks healthy and gorgeous. If I’ve learned anything from Evelyn and Nikki's YouTube video (see below) and this post, which is sponsored by Folica, it’s that I’m a cross between the Product Junkie and Same Ol’ Hairstyle Natural. Even though I’m a huge fan of trying new curl finishers, co-washes, and moisturizers, I can’t seem to part ways with my navy blue headscarf! No matter which of these natural hair YouTube sensations you tend to be most like, learning from these curlies, wavies, kinkies, and coilies is all part of the journey! Go on: Tell me which of these Naturals are you? Share your YouTube tutorial video experiences, air your natural hair care grievances, or exalt your curly headed sisters in the comments box below, and remember: There’s no right way to be natural; just DO YOU, girl.